Hello! 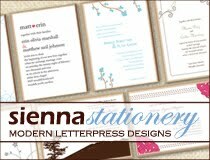 I have officially transitioned to a new blog in honor of the new business, Sienna Creative Studio! It will be more focused on graphic design, but I will be posting all sorts of creative inspiration. Follow me at Sienna Inspired! Wish you success in your career and going to be the well known entrepreneur of the world.